Subscribe to: "EUCALYPTOLOGICS: GIT Forestry on Sustainable Eucalyptus Cultivation"
Subscriptions are managed for "EUCALYPTOLOGICS: GIT Forestry on Sustainable Eucalyptus Cultivation" by FeedBlitz. "The sun never sets on our common Empire"
And it is growing... everyday! 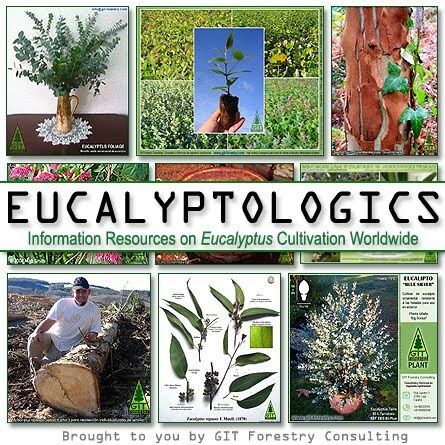 By the way... the GLOBAL EUCALYPTUS MAP 2012... is on the works! If your work has to do with Eucalyptus or you have news related to these trees and you are interested in sharing that information with readers worldwide you are welcome to contact us. 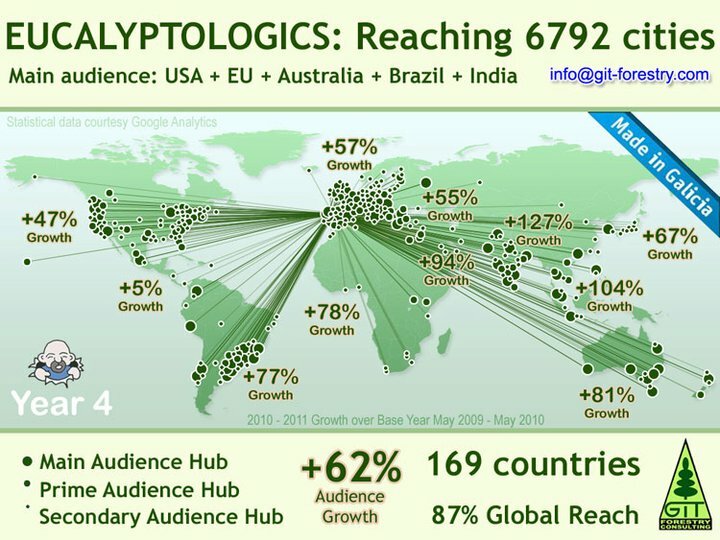 Since created in May 2007, Eucalyptologics has reached +60,000 readers in +170 countries. You can check up a select list of our readers in the first days here & a more updated resume of recent developments here. © 2007-2012 Gustavo Iglesias Trabado & Associates. Please contact us if you want to use all or part of this text and photography elsewhere. We like to share, but we do not like rudeness.